This small school overcame multiple challenges and expects a bright future under a strategic partnership between the head of school and business officer, now in their third year of working together. “We both took a risk." Photo above courtesy of Epstein Hillel School. Faith-based independent schools have struggled since the recession, but strong leadership and thoughtful planning may be able to turn a school around if it has dedicated staff and supporters. Financial transparency, full board support and the flexibility to invest in staff and technology are critical to helping the new leaders change established practices. “Right-sizing” to a more sustainable student mix may be preferable to maximizing enrollment. It’s year three of the five-year turnaround plan at Epstein Hillel School, and rather than a mid-marathon malaise there’s an energized spirit of renewal at the K–8 day school in Marblehead, Massachusetts, on Boston’s North Shore. Enrollment is up 20 percent, kindergarten is full for the second straight year, staff attrition has all but vanished, accreditation is up to date and fewer families are receiving financial assistance. 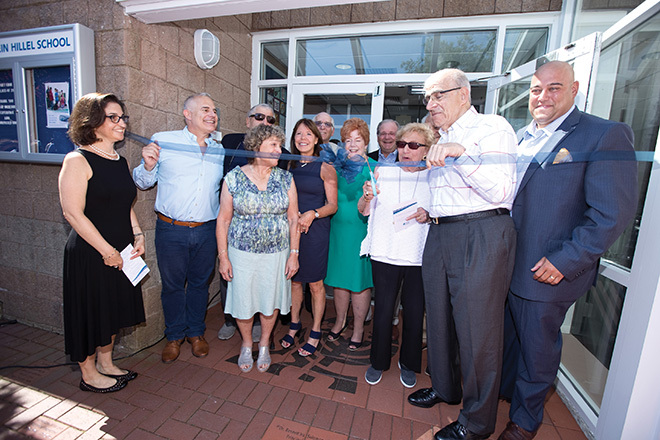 There’s also this: On August 27, close to 300 people celebrated the school’s official renaming in honor of Arthur J. Epstein, a local philanthropist who in January announced a $5 million donation to the school. That gift — more than twice the size of the school's operating budget — is huge for Epstein Hillel. There’s no overstating its importance to the small school’s ability to invest in everything from physical plant improvements to professional development. But this turnaround is staked on far more than a cash infusion. Money can’t buy students, for one thing. From a high of 250 in 1998, enrollment at Cohen Hillel Academy (the name during the school’s first 62 years) had faded to fewer than 50 by the 2014–15 academic year. Nor can a single generous gift sustain a school for long, let alone replace a dependency on fundraising with actual tuition revenue. Eighty percent of students were receiving tuition assistance that year, and actual tuition revenue as a percentage of operating funds was far below the 81.5 percent average in NBOA’s 2014–15 Business Office Survey Report. Perhaps most importantly, a lump sum of money only goes so far when it comes to persuading families to entrust a school with their children’s education, and employees with their livelihoods. Morale and confidence in the school’s future direction had suffered, resulting in rising student attrition and faculty and staff turnover. At a minimum, the school needed new leadership. After a search culminating in January of 2015, the school’s board recruited Amy Gold as its new head of school. Regarding the challenge that lay before her, “I think the biggest factor was that I needed to convince people to take the leap of faith and trust me and my decisions for the school going forward,” said Gold. Her first hire, in turn, was Will Potter as director of finance and operations. From him, the job demanded a businesslike rigor, combined with a behind-the-scenes scramble for efficiencies, savings and better ways to operate. “Cash flow was keeping me up at night,” he said about his first months at Cohen Hillel, a worry unprecedented in his 33-year finance career, including 13 years at two other independent schools. Righting the ship took him deeply into the school’s financials and policies. As a Catholic taking the business reins at a Jewish school, he had to dive deeply into its mission as well. If there were warning signs at Cohen Hillel, they preceded Gold and Potter by years, likely even before the 2008 financial crisis began to grind through the enrollment and financial foundations of independent schools nationwide. 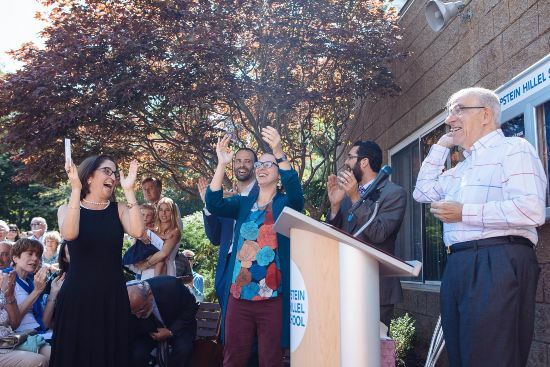 Besides the economic downturn, a confluence of factors eroded its once-strong base, including rising public school competition, several changes in leadership and a gradual geographic redistribution of some of the region’s Jewish community away from the area. Today, in fact, Epstein Hillel School is the only Jewish day school in the 23 towns making up Boston’s North Shore. And that singular distinction, among others, was one of the attributes that attracted Gold to the school in 2015. At the time, she was in her 18th year at the Rashi School, a Jewish K–8 school with 310 students in Dedham, a town south of Boston. Her tenure there exposed her to many aspects of school operations; she had begun as a classroom teacher and later became associate head of school, for eight years directing curriculum, instruction and hiring. “I had an excellent mentor, and when I started to understand the situation at Cohen Hillel I saw a lot of opportunity for leadership in areas where my strengths were,” she said. She was interviewed extensively by a board subcommittee whose number-one job was to find a new head of school. She in turn interviewed them. “They were up front and transparent about the challenges the school faced,” and they offered her their full support. Gold’s arrival on campus — full-time in June of 2015, but overlapping with her final months at Rashi beginning in January — revealed to her still more about Cohen Hillel. Those getting-to-know-you months helped build the foundation of trust that would shore up confidence and support among the broader school community. Faith-based independent schools faced considerable enrollment and financial challenges after the recession, according to an August report by Measuring Success. Between 2011 and 2016, a cohort of 78 religiously affiliated schools saw enrollment growth average only 2.4 percent (compared to 4.3 percent for non faith-based schools). Financial aid demands rose from 20 percent of students receiving financial assistance in 2011 to 24 percent in 2016. Over the same period, financial aid per student grew from $1,900 to $2,700 — a 46 percent increase. Fundraising remained static at $77 million per year. However, these schools also increased tuition at a rate exceeding spending growth. By 2016, their ratio of net tuition income to operating expenses was 90 percent, compared to 80 percent for non faith-based schools. Gold also mapped out the beginnings of a strategic plan to strengthen the school culturally, academically and financially. She developed a strategy she calls “the 5 Cs,” covering curriculum, communications (internal and external), culture, community and conditions, the latter including everything from painting and landscaping to technology infrastructure. Teachers would get new laptops and iPads, and extensive professional development to support their use. There would be a Moodle learning management platform, new report cards and some new teachers, especially for the redesigned curricula. There would also be more students. But rather than striving to rebuild to the school’s peak enrollment of 240, Gold sought to “right-size” it to 16 students at each grade level, or 144 in all. “That feels like a better reflection of the community and the current demographics of the Jewish population on the North Shore,” she said. In either case, the school would also need a new admissions director and a rebranding effort. So there was a roadmap, and there were expenses to fund it. Thankfully, there was also Epstein, a local entrepreneur who despite never having children or grandchildren at Cohen Hillel had been a supporter for more than 30 years. “Arthur is an amazing man who is committed to the vibrancy of the North Shore,” Gold said. She and the board president met with him, and even before the $5 million gift was announced, Epstein agreed to a gift of $500,000. About $275,000 would support the new initiatives, and the rest would go into the school’s operating budget. Likewise, Gold knew she would need an equally committed partner in the business office. “Amy has high expectations. Mediocre is not acceptable,” said Potter. He too came to Cohen Hillel from a nearby school — in his case, Falmouth Academy, where he had been CFO for five years, after eight years in the same role at Nativity Prep School. Like Gold, he asked for and was assured full financial transparency and board support; he also received hands-on consulting assistance from another former school CFO during the critical transition period. From the business perspective, Potter began by implementing best practices and addressing some spending concerns. He also set out to build up reserves and reverse the school’s hard income coverage from development dollars to income. That meant closely evaluating financial assistance practices in order to bring in more students who are both mission-appropriate and able to pay full tuition. Strategic investments in marketing to rebrand the school, including new logo, colors and messaging language. More stringent expense-approval procedures (expenses over a certain amount require Potter’s and Gold’s signatures; all expenses must be approved before purchase and have a general ledger number tied back to the budget). New accounts payable procedures, including separation of duties and weekly reporting requirements. New providers or renegotiated contracts for items ranging from toner cartridges and transportation to student assessments and an outside physical education provider. Besides saving money, some of the new practices produced surprising benefits as well. For instance, changing student transportation services from a limousine company to a licensed bus company ensured greater student safety and elicited positive parent feedback, Potter said. Leah Thayer is NBOA’s vice president of communications and the editor of Net Assets.